Inspiring novel ideas in a systematic, process-driven manner. Ideation refers to the creative process of generating, developing and communicating new ideas. These ideas can cover any topic, new content, new products; or ways to market an existing product or service. In an ideation session, people are pushed to think differently and creatively. Ideation is not a skill that some have and others don't, rather it is a structured process which anyone can learn. Ideation sessions are a superior version of brainstorming in which everyone involved goes through a structured process of working together to come up with new ideas. These idea generation exercises are designed to improve participants' ability to let go of preconceptions and old patterns in order to discover new ideas and opportunities. The primary aim of ideation workshops is to promote the formation of new ideas through structured, process-driven activity. 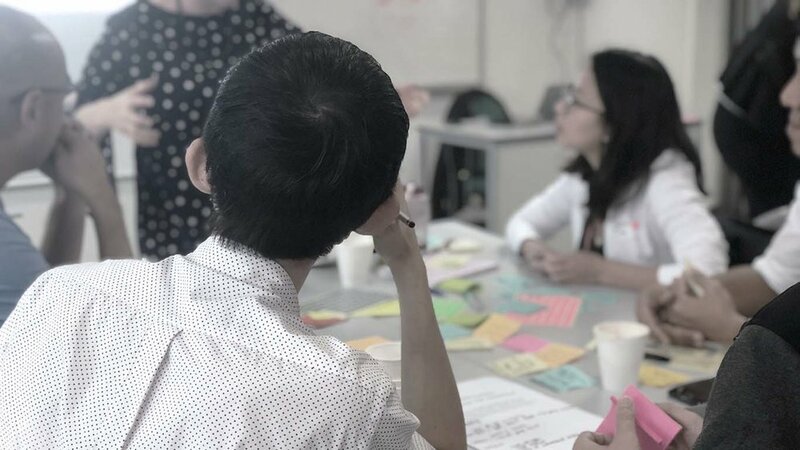 Ideation sessions encourage participants to think of ideas across all horizons, meaning that returns from workshops can be immediate or can extend far into the future. More importantly, though, these sessions can help cultivate an internal innovation culture, while identifying new projects to help the organisation stay ahead of disruptive forces and leverage shifts in consumer behaviour and technology. Helps generate new ideas and develop concepts into effective courses of action. Gets employees out of stale modes of thought. Allows participants to work in cross-functional teams to find ways to better satisfy future customer needs. Ideation sessions need to be well thought out and structured to ensure that everyone is trying to solve the same problem and avoid potential confusion. The way the problem is framed is crucial as a poorly framed problem can cause the session to go off track, or result in missing potentially valuable ideas and solutions. Launching this play requires a low initial capital outlay. Have a discussion with the person championing the session and identify the most critical 'pain point' which the session is trying to solve for. Compile context on this pain point and the external environment which is impacting it. Ideation workshops are a low resource intensive play. Dissipate anxieties and tensions by getting people relaxed and comfortable with each other. Having tension in the room can prevent participants from developing and sharing creative thoughts. Ensure that everyone clearly understands the context and objectives of the day. Frame the problem to be solved, ensuring that the brief is focussed and specific so as not to limit participants thinking. Encourage active participation by dividing participants into smaller teams. Facilitate participants creative thinking and encourage them to look at the problem in different ways through several idea generation activities spread throughout the day. Guide participants to refine and focus their ideas using sticky notes and a process similar to affinity mapping. Encourage teams to share and discuss ideas with the rest of the group. Whirlpool takes a unique approach to innovation, with most ideas originating from structured ideation sessions. At the same time, however, all employees are given the ability to contribute to the idea process or submit ideas through an online portal, similar to that which is used in enterprise crowdfunding. For Whirlpool, the ideation process follows a specific structure: idea generation, basic business case formation, competition for the development of the idea, testing and experimentation, and finally, large-scale commercialisation. Allow time beforehand for people to research and prepare. Ask people to come with ideas ready to share. For optimum results, allow two days for the workshop. Limit or monitor how authority figures participate. If not managed correctly, this can cause participants to censor potentially viable ideas.